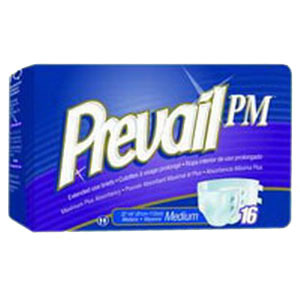 The Prevail PM™ Extended Wear Brief is designed with maximum absorbency for extended or nighttime use. The breathable brief features reattaching fasteners that grip anywhere on the outer fabric for improved fit and maximum protection. These briefs offer excellent odor protection as well as moisture wicking to keep the skin dry and healthy. The Skin Smart fabric is equipped with vitamin E, aloe and chamomile to pamper the skin.